The School Leadership Journey is a timely jaunt through the social and political education landscape of the late 20th century to current times, tracing the ebb and flow of education policy and leadership development. 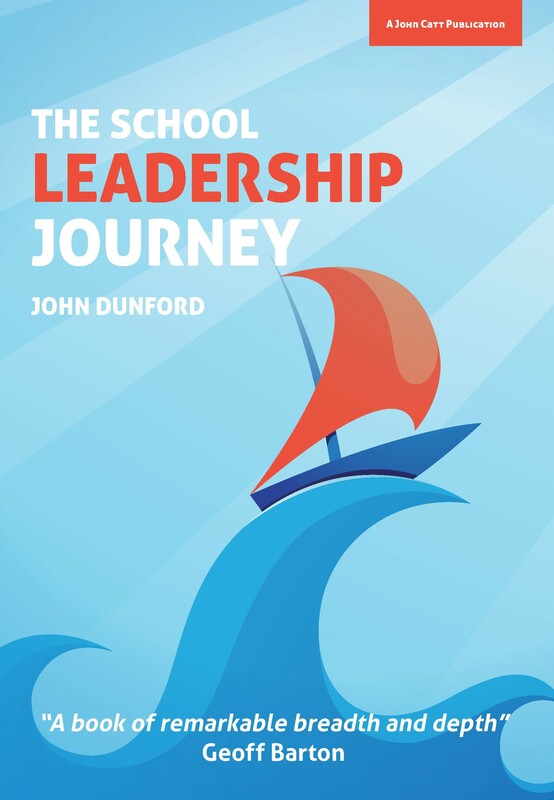 John Dunford, former general secretary of the Association of School and College Leaders and pupil premium champion for the government, leaves us with no doubt as to his intention in writing this book. In his first sentence he boldly asserts that it “is about school leadership, but is not a leadership manual”. Added to this, and unusually in the current climate where research-based proclamations are king, he has no qualms about his lack of references to the “great works on educational leadership” and adds that his points “are not particularly profound”. Refreshingly honest and clear in his intention, Dunford lays out his stall, priming the reader for a series of vignettes, observations and commentary spanning a 40-plus year career in education. Born from Dunford’s 2011 blog, Ten things learned on my leadership journey (point two: “water the plants”, particularly excellent advice), this book is simply structured around these ten key themes: from leading assessment, accountability and curriculum to education of disadvantaged young people and the values-led school. He explores his experiences, rather unsurprisingly considering his career, from a secondary perspective and whilst many of the messages are universal, this bias may prove a little irksome for primary colleagues. Seven is my stand-out chapter, where point two is given a new lease of life as: “Watering the plants; leading a learning school”. It is in this chapter particularly, and despite previous declarations of not referencing great works, that Dunford’s extensive experience combines with key research from experts such as Dylan Wiliam, Viviane Robinson and John Hattie. For the first time, we really hear Dunford’s voice as he drives home the message that the quality of teaching is the most significant and cost-effective factor in improving the life chances of young people. Hear, hear! He goes on to denounce the “suffocating centrally directed policy climate” of the past two decades that, despite national and international recognition of the value and importance of professional development and learning, has led to some schools reducing their investment in this area as budgets are increasingly squeezed. He asserts that this climate has resulted in school leaders increasingly accustomed to being “told” what to do. The balance needs to be reset, he says, with school leaders reclaiming the professional learning space. Hearing Dunford’s voice come through in this way emphasises the importance of building leadership capacity for all staff in all schools. This message is underpinned by concrete and useful advice for school leaders. Six core measures are outlined, each designed to encourage a culture and climate where all staff play an active role in professional learning. For me, this sends a powerful message that education leaders should value, promote and model learning, while also providing practical guidance and advice. The book offers more than the billing it gives itself. It is an interesting memoir of a professional life woven with the complexities of political influence and impact in education. But more than this, it contains deep knowledge and reflections based on personal experience, research, evidence, impact and education successes (as well as some failures). This is more than a book about school leadership; it is a book for school leadership where lessons learnt about effective education leadership transcend the time-specific political narrative. Maybe there is an education leadership manual here in the making, Sir John?